(Officially) announcing free content update! 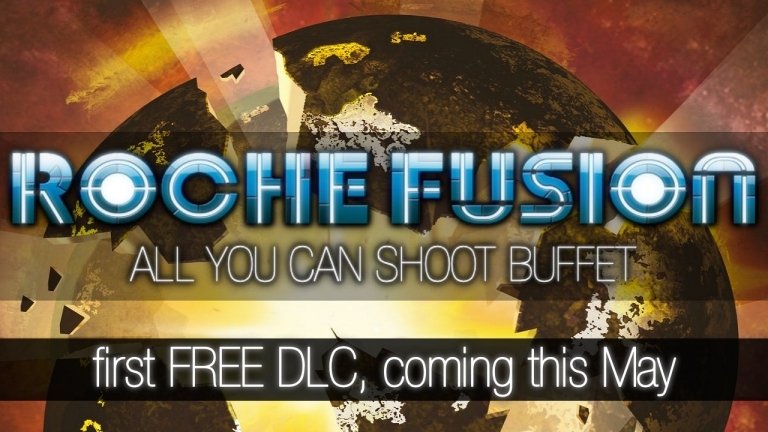 It has been about three months now since Roche Fusion's release on Steam, and we are humbled by the positive reception; the great reviews, feedback, and other comments. But that is not where it stops! We have been busy at work, and in just a few weeks, we will release our first FREE content update, with even more ships, upgrades, enemies, and definitely more explosions! Until then we will post regular updates here, on Facebook and on Steam! Further, we are creating a series of small spoiler videos to show off some of the cool new upgrades we are adding. You can watch the first one right here! Make sure to also check our YouTube channel and subscribe, to make sure you don't miss future videos. We also have weekly live-streams, where we play-test the game, maybe write a bit of code, answer questions, and just in general have a lot of fun! In fact, there will be a live-stream TODAY! So make sure to head over to twitch.tv/amulware at 14:00 GMT and take a look! We will be posting a lot more info, including images, videos, and some very special announcements over the coming days and weeks, so watch out for that! For now, enjoy the pixels!